Kirstenbosch like you’ve never seen before at WWF SA’s Earth Hour 2018, with its second Earth Hour Adventure. Participants of all ages dashed determinedly through the gardens. Guided by a map and our torches, we searched for hidden WWF checkpoints. The gardens transformed into a mystical forest with twinkles of torchlight in between the trees. 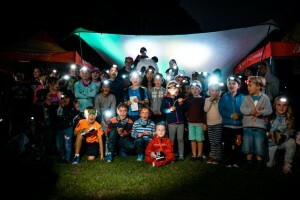 There were elated shouts from children as they realised they were out past their bedtime and urgent directions being discussed as participants navigated through the gardens. Children hunted for Chi Chi, WWF’s Panda Mascot, and got treated to panda (face paint) tattoos. After the adventure, we enjoyed a performance by Robin Pieters and welcomed the showers as we danced in the rain. Definitely an Earth Hour well spent with nature. Seven South African chefs have been named Trailblazers in the 2017 WWF-SASSI Trailblazer Awards held at Harbour House in the V&A Waterfront on Monday 23 October 2017. Building on the phenomenal success of SASSI’s traffic light guide amongst the South African public, the SASSI Trailblazer Awards recognise and celebrate chefs who are actively championing sustainable seafood practices in their restaurants. 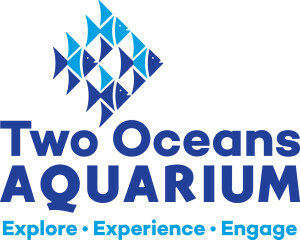 · The ‘Trailblazer factor’ (those chefs and restaurants that are going the extra mile in promoting and supporting seafood sustainability). The SASSI Media Award for 2017 went to Anna Trapido, a well-known journalist who writes extensively on food and sustainability in South Africa. She has covered sustainable seafood issues in many articles in magazines, print, TV and radio. Fish species Look out for the new updates to WWF-SASSI Lists for 2017!! Hey SASSI champions! WWF-SASSI assessments have been finalised for a number of priority South African and International species for inclusion onto the WWF-SASSI list and consumer tools. This was a rigorous process whereby the public was included and provided an opportunity to comment on the draft assessments per the WWF-SASSI notifications to WWF-SASSI stakeholders on 19 January 2017 for local species and on 13 February 2017 for international species. WWF-SASSI has now completed the review process, incorporating public comments and an external review process for the local species. The public, including interested and affected parties, are hereby notified of the final assessment outcomes listed, which can be found at http://wwfsassi.co.za/public-notice-final-colours-on/ . Some of the changes in the South African fishery include Sardines, Gurnards and Carpenter shifting from the green to the orange list. Some major prawn species supplied to South Africa from International fisheries are also now red-listed. The ocean needs us to continue being champions, more than ever. The final WWF-SASSI assessment results will be included in all WWF-SASSI materials and consumer tools, which will be available to the public after 60 days from this communication (19 June 2017). We thank you for your support and participation in the WWF-SASSI assessment process! The WWF-SASSI Retailer/ Supplier Participation Scheme has made great strides in transforming the seafood sector in the past 10 years by encouraging sustainable procurement in response to consumer demand. The move towards a more sustainable seafood sector is due to a combination of increased consumer demand for more sustainable options, the foresight of WWF to work with seafood retailers and suppliers along the supply chain and the retailers and suppliers themselves who have put in the hard work. The nine WWF-SASSI participants are I&J, John Dory’s, Pick n Pay, Food Lover’s Market, Woolworths, SPAR Group Limited, Ocean Basket, Sun International and Breco Seafoods. An example in the South African context is the action taken by the nine national retailers and suppliers who sent a joint letter to the Namibian Hake Association (NHA) to request improvements in environmental performance of their fishery. Following this engagement, the NHA committed to have their fishery assessed against the Marine Stewardship Council standard for sustainable fisheries, with the process due to begin in early 2017. Together, WWF-SASSI participants hold the power to transform the seafood sector by supporting fisheries under improvement, stocking sustainable seafood species that comply with traceability principles, and ensuring that seafood products are adequately labelled with enough information so that consumers can make informed purchasing decisions. In our previous newsletter, we highlighted a growing concern about the diminishing population of the popular West Coast Red Lobster (WCRL). Being one of South Africa’s pioneer fisheries, the WCRL industry is rich in its socio-economic value through job provision, and supporting economic growth. Due to overfishing, increased illegal harvesting and poor management of the WCRL fishery only 2% of original stock remains. These series of events has sadly shifted the WCRL to the red list, which you may have followed. WWF-SASSI released a draft red-listing for WCRL in 2016 because the resource is sitting precariously close to collapse. Through WWF-SASSI’s 2016 campaign to ‘Skip the Kreef’. The listing was finalised by the WWF-SASSI team at the end of 2016 to be headed with a warning that kreef could disappear completely from menus within the next 5 years unless radical restoration measures are implemented to save the fishery. The launch of the #SkiptheKreef social media awareness campaign called on consumers to avoid eating this popular seafood over the festive season, as they would any other red-listed species. WWF, along with fishers, submitted an open letter to the Minister of the Department of Agriculture, Forestry and Fisheries (DAFF), to call for a drastic reconsideration. Thanks to consumer power, the campaign reached over 297 000 people on Facebook, 71 000 twitter impressions, 72 print publication, 38 Broadcasts on radio & TV and 90 000 views on You Tube. More importantly major restaurants publicly announced that they will not be selling Kreef this summer. Well done ocean champions! WWF-SASSI is continuing to call on consumers to use their buying power and voices to protect the species as well as the fishers who may depend on it for their support a WWF-SASSI green listing in years to come. 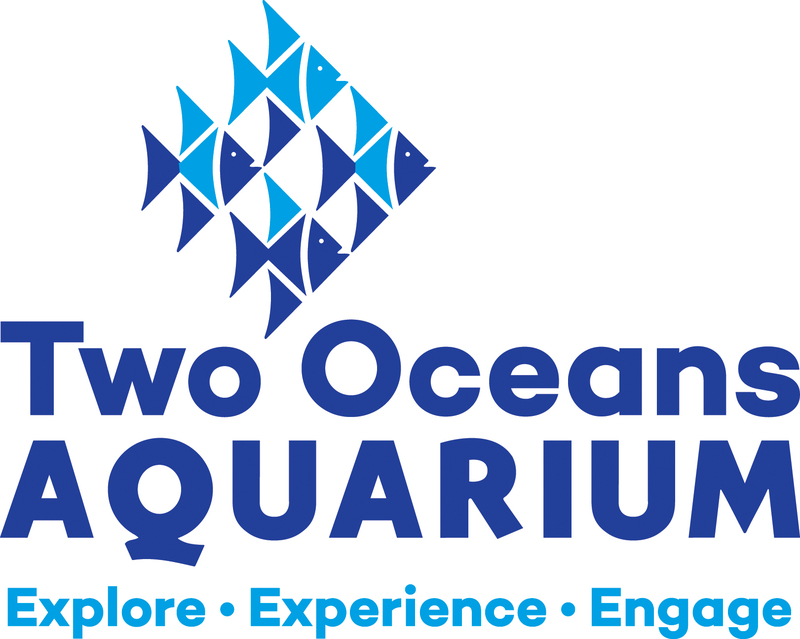 During National Marine Week in October 2016, Two Oceans Aquarium teamed up with WWF-SASSI to focus on sustainable seafood. This involved everyone from staff and visitors, to social media and blog articles using WWF-SASSI as a theme. WWF-SASSI report statistics were shared to highlight the plight of overfishing and the WWF-SASSI tools were advertised as a solution and call to action. A presentation was made to aquarium staff, on WWF-SASSI as a consumer tool, which was well received by all. 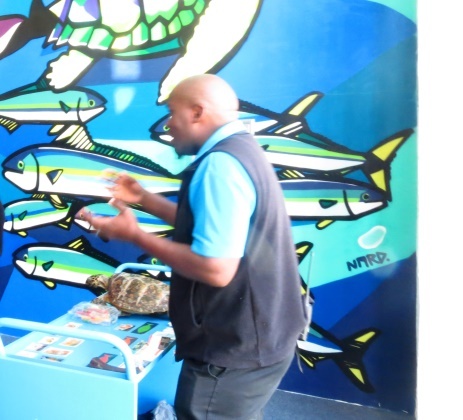 An exciting pop up education station was run by the aquarium visitor services staff, near the penguin exhibit that focused on understanding what the WWF-SASSI colours meant. Seafood pictures were displayed and visitors were asked to use the pocket card to place the seafood pictures in the correct colour category. This generated a lot of discussion and was an interactive and fun way to engage people on the topic. Marine week 2016 was an overall success and the partnership with WWF-SASSI inspired discussion and awareness on the topic of seafood sustainability.